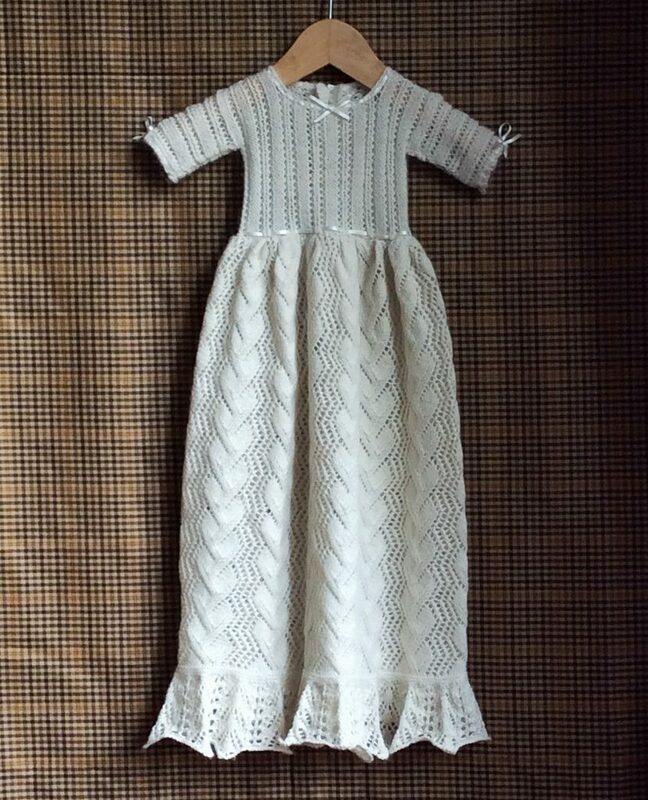 This pretty infant’s gown is illustrated (see below) in ‘The Handbook of Knitting’, one of the UK’s earliest knitting books, written in Yorkshire in 1845 by a ‘Mlle de Lorette’. We think this was a nom de plume as we can’t find any lady of that name in official records. For my Yorkshire Knitting Tour this summer my sister is doing a presentation about Yorkshire’s knitting authors, so is knitting up samples for some of their patterns for us to display during the Tour. She so loved this illustration from Lorette’s book that she was determined to include the ‘frock’ as one of the samples. The instructions themselves are very basic, so Marie has used a lot of expert licence in translating them into this sample. The skirt was fully written out, while the bodice only instructed the stitch pattern, with no indication of the number of stitches or shaping. 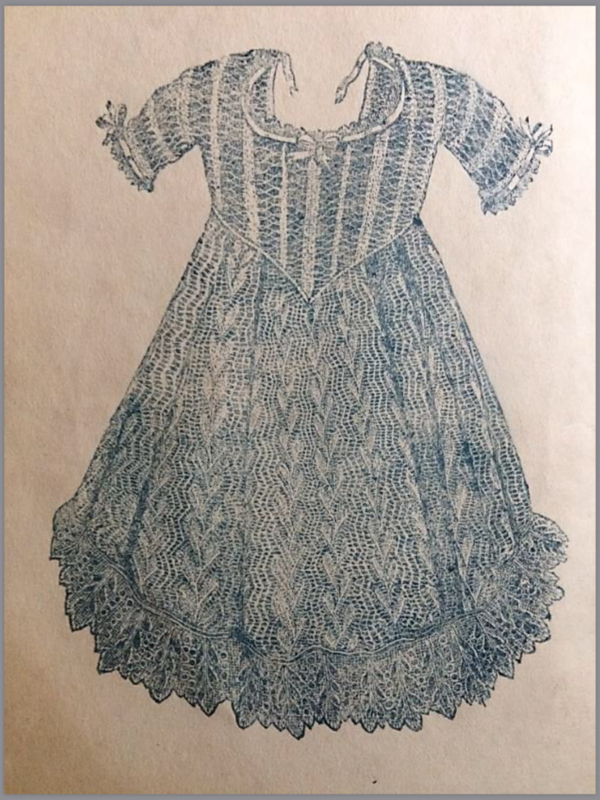 The frill at the bottom was shown in the illustration, but no instructions for it were included, so Marie based it on one of the other stich patterns from Lorette’s work, which comprised several small volumes, all published by an Easingwold printer. The illustration also showed a V at the bottom of the bodice where the skirt joins it. This too was not instructed, and Marie produced a straight join instead. The sample is nevertheless breathtakingly pretty!